This is an amazing place! Mrs Genziana and her son welcomed us with bottles of fresh water (much needed due to the heat) and some cassatelle (a typical dessert from Sicily), gave us all the information we might need and also helped us in arranging an excursion to the Zingaro natural reserve. The location itself was absolutely beyond our expectations! From the main road we accessed a private one, leading to the tower and two apartments in the park surrounding the tower. We stayed in one of these apartments, which was clean and beautiful, with everything we needed. The environment was even more amazing! Breathtaking view on the sea, wonderful nature around, calm and silent. And private access to the sea! 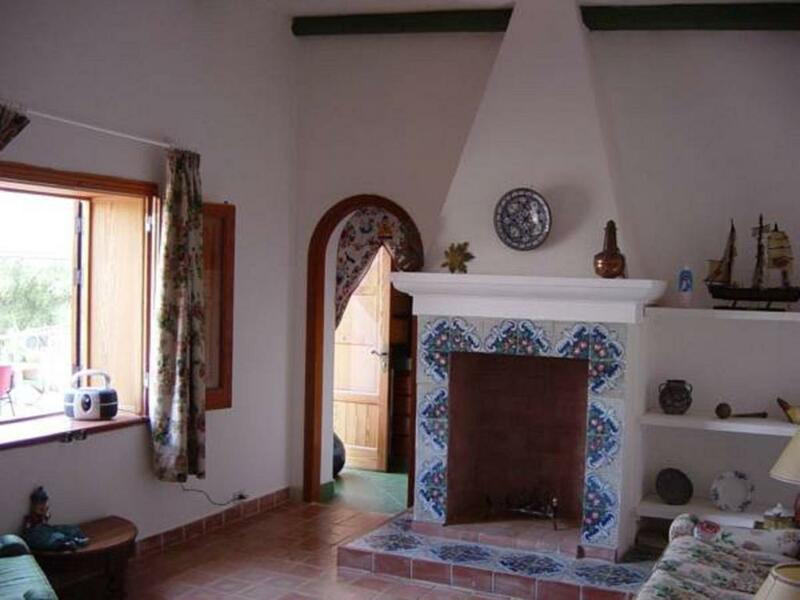 This 15th century tower with a lovely single main room connected to kitchenette is a truly unique property. It is perched on the cliff with spectacular views of the sea. The suite is furnished with Sicilian antiques. Breakfast is homemade and delicious. The owner provided us with a delicious cake ,pastries ,cheeses,lovely bottle of wine plus the owners homemade marmalade. In all our travels around the world we have never had such a gracious host. 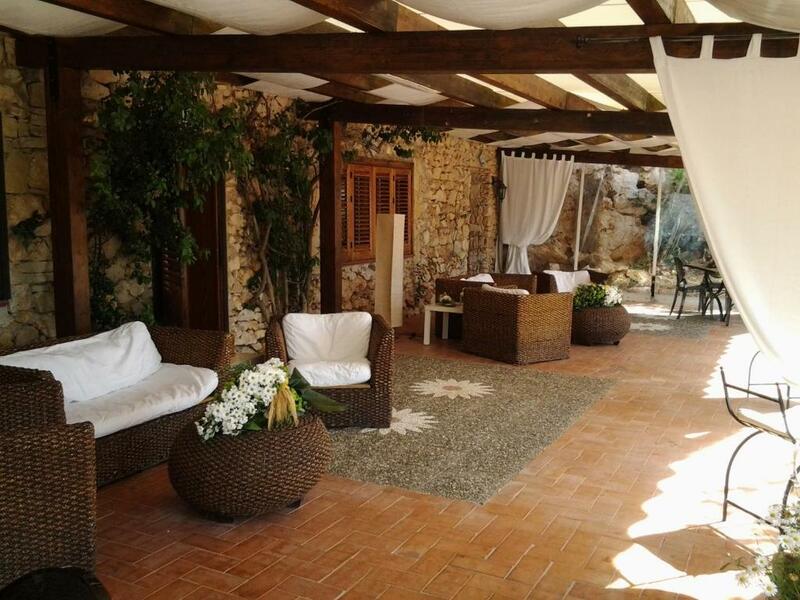 The location was superb, the area was peaceful and the property was clean and in keeping with the traditional Sicilian style. We'd definitely stay at the property again. Communication with the host, Fabio, was easy and he talked us through everhything we needed to know during our stay on arrival, which was extremely helpful. The local supermarket is full of fantatstic Sicilian treats as well as a superb cafe in which you can have a great breakfast and freshly squeezed blood orange juice !! This place is nothing short of amazing ! 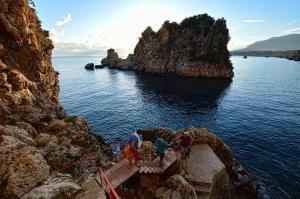 You'll need to rent a car to see the greatr sites of Scopello though. Breathtakingly beautiful view. Once you entered the compound it is like entering an oasis, with a lot of trees and plants and of course the beautiful view of the bay. We also loved our terrace which is so cool after sunset. Not to forget the private swimming spot with private stairs down the hill. Cristal clear water with us swimming alone. La casa era bella e accogliente ma la posizione e la vista superlative !! Posizione bellissima, affacciato sui faraglioni e sulla tonnara di Scopello. Terrazza esterna con lettini e diversi divani per godersi il sole e la veduta meravigliosa. Molto gentili i proprietari e lo staff. Appartamento spazioso con 2 camere matrimoniali, una cameretta con 2 letti singoli e 2 bagni. 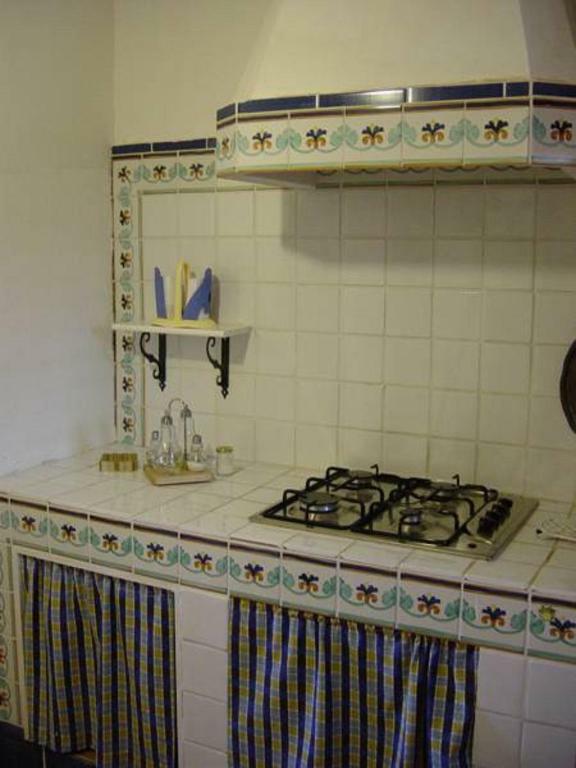 Cucina e soggiorno e in esterno bellissima e ampia veranda. Lock in a great price for Torre di Scopello – rated 8.9 by recent guests! One of our best sellers in Scopello! 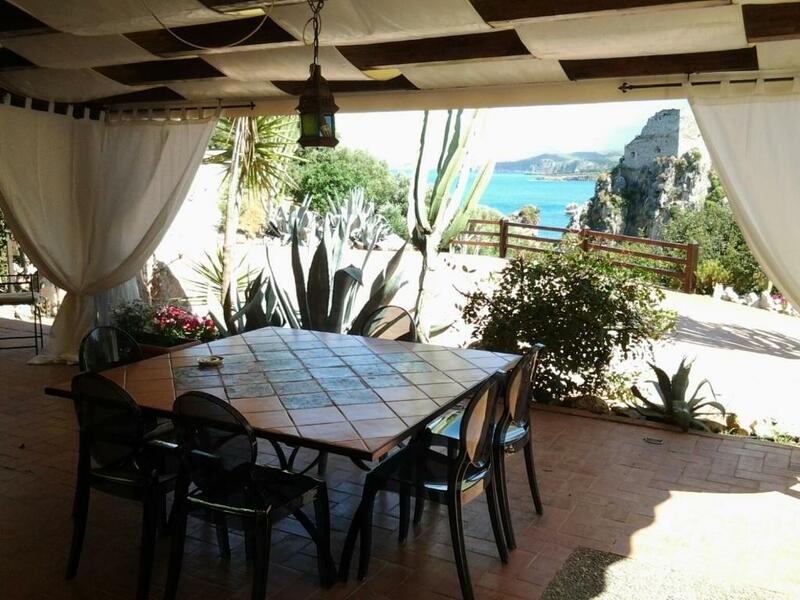 Set 1,950 feet from the old Scopello tuna fishery, Torre di Scopello offers apartments with characteristic Sicilian-style décor and a shared sea-view terrace. This property is 1.2 mi from the untouched Zingaro Nature Reserve. 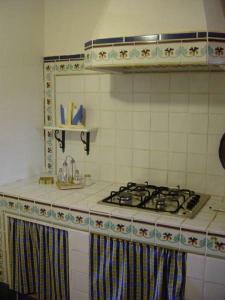 The apartments come with original tiled or cotto floors and a fully fitted kitchen. All apartments feature distant sea views and views of the shared garden. Most have air conditioning and a flat-screen TV. Torre di Scopello's guests can spend relaxing moments on the partially covered terrace and prepare their grilled meals on the shared BBQ. 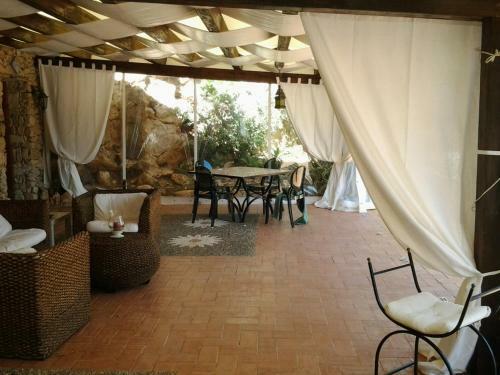 The property is 25 mi from San Vito lo Capo. This is our guests' favorite part of Scopello, according to independent reviews. 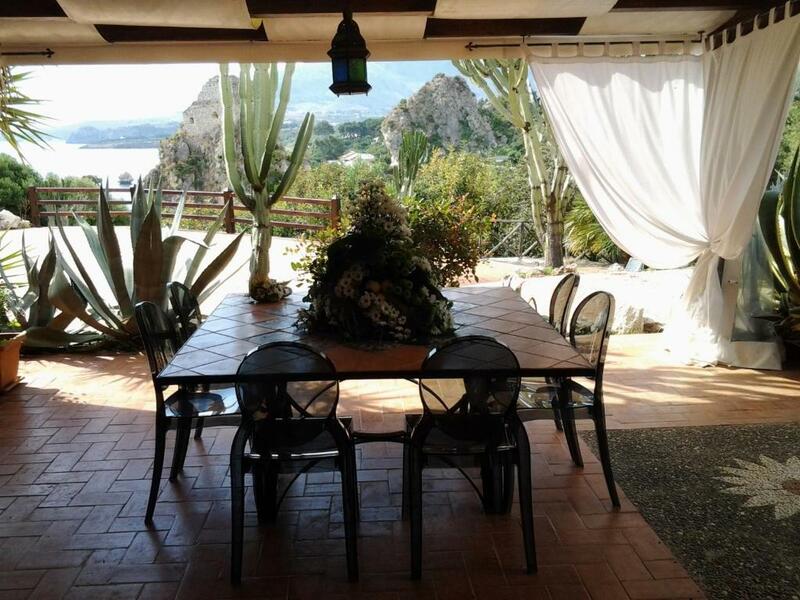 This property also has one of the top-rated locations in Scopello! Guests are happier about it compared to other properties in the area. 뀐 Located in the top-rated area in Scopello, this property has an excellent location score of 9.9! When would you like to stay at Torre di Scopello? Apartment with characteristic Sicilian-style décor, air conditioning and a fully fitted kitchen. Features a flat-screen TV, far-reaching sea views and views of the shared garden. Includes a washing machine. 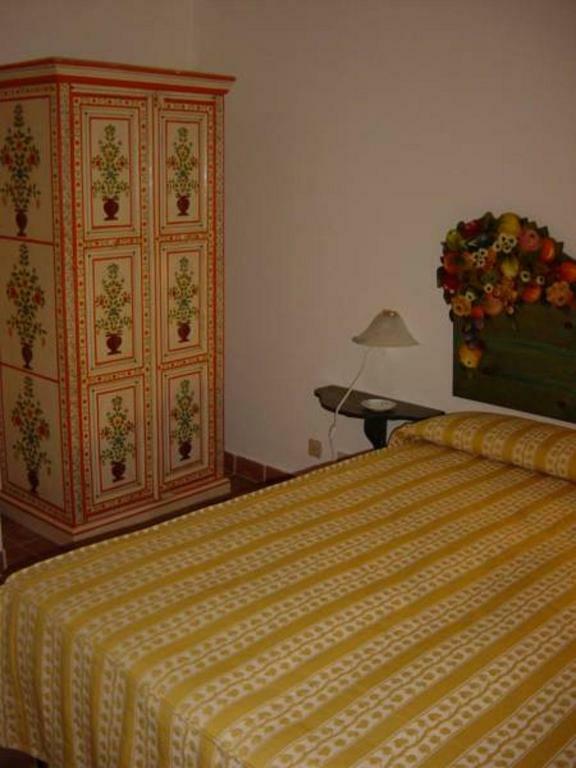 Suite with characteristic Sicilian-style décor and a fully fitted kitchen. Features distant sea views and views of the shared garden. House Rules Torre di Scopello takes special requests – add in the next step! Torre di Scopello accepts these cards and reserves the right to temporarily hold an amount prior to arrival. Please inform Torre di Scopello of your expected arrival time in advance. You can use the Special Requests box when booking, or contact the property directly using the contact details in your confirmation. Nothing - all was superb ! Very old in the house. Humid. Constant noise of water during the night preventing us from sleeping three nights in a row. Mosquitos (normal you might say but not much efforts deployed rocouantes them). And no beach but a direct private access to the sea... one has to plunge from the rocks. Very dangerous. I would not recommend for families. Kitchen pots and pans could be in better shape ! We stayed in the 2 bedroom apartment. The bedroom at the very end of the corridor smells a bit of mold. Probably because the air circulation in that one is not as good as the other bedroom direct opposite to the door. We had to have all the windows widely open for a whole day to reduce the smell a bit. Also the air conditioner outer part of our neighbor is right beside our bedroom window. We couldn't have our window open during the night because they had their air con on the whole night which was really loud. With the window shut the room was hot and humid so that we had to turn on our air con too which we actually hated. The owner speaks limited English. Though her son helped, we couldn't get much information as for where to go, where to dine and so on. We do think this place has a great potential to be much more attractive if the owner could improve the facilities to make it more comfortable. For example the window net in the bathroom is broken, the air-conditioner could be quieter. The kitchenware could be newer. We at least would be ready to pay more for more comfort. It was a perfect stay. 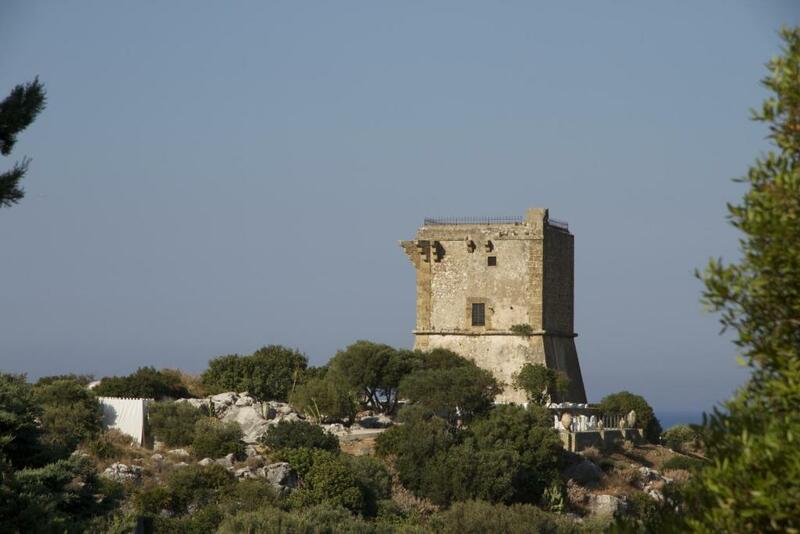 But please be aware that it is an historic tower each floor is reached by a stone staircase.